Tim Neuhaus may be known in German indie rock circles as the solo artist type: a soft-spoken singer-songwriter who pens insightful, delicately nuanced pop songs. But the reality of the situation is that guitar is not his first, nor primary, instrument. When he was seven, Neuhaus began playing the piano, although initially, it wasn’t something he was particularly interested in. It wasn’t until three years later, at the age of 10, when he transitioned into percussion and finally began connecting with music on a deeper level. It is in this sense that he owes his second piano teacher credit for helping him find his musical niche. “He was bored because I was bored,” he said, explaining it was this teacher who noticed he had an innate knack for rhythm and suggested he play drums. Neuhaus noted that he picked up on the instrument almost immediately and found his musicianship forming and growing exponentially. He continued with drums, playing with bands in his hometown and eventually choosing to pursue music at a university. He studied jazz percussion, and ultimately decided to relocate to Berlin to put his musical talents to better use. Both decisions were influenced by the fact that he was the product of a town without much of a music scene. “I had to surround myself with people who love music and make music every day,” he said. Along the way, Neuhaus also found himself not only taking a new interest in the piano again, but also in guitar, which he taught himself to play. This dabbling in multiple instruments coupled with music instruction from an early age gave him a solid background in musical theory. And in the time since moving to Berlin, Neuhaus’ interest in songwriting increased, to the point that it evolved from just a hobby into something serious. Because he is a drummer first and foremost, Neuhaus approaches songwriting with a rhythm-based mindset, something with distinguishes him from other songwriters. The result is a sound that Neuhaus emphasized isn’t at all akin to world music. Instead, he said he strives toward a sound that emphasizes percussive songs in the guise of traditional song formats. What that means is he pays close attention to all the elements of sound and the interplay between them. At times, he will even perform with two percussionists. However, it is much less overt that straightforward rock with overbearing drums. Yet as someone who seems to always have understood and been surrounded by music, being a solo artist isn’t something that was without obstacles. In particular, Neuhaus said he struggled, not with writing and playing songs, but with discovering and fine-tuning his voice. He admitted that he wasn’t the best singer when he started out, and that was what he experienced the most criticism over. That manifested itself as having to take a step back and realize that he couldn’t expect to be good at everything. Neuhaus also needed to recognize that his singing wasn’t completely representative of his musicianship. Rather, it was like throwing a new instrument into the mix, one that he had to learn from the beginning, just as he did with piano, drums and guitar. But he didn’t give up. In fact, Neuhaus attributed much of his personal growth and development to the fact that he didn’t give up or let discouragement hold him back. However, the label wanted a slightly more aggressive live sound, citing Neuhaus’ initial recording as a bit too introverted. So with a limited budget and a time constraint of five days, the band went to a studio and rerecorded everything: an effort that culminated in the album’s release this past January. Already, Neuhaus is working on material for the next album, and said he makes an effort to do a little bit of writing every day. As for how often he produces a song, he said it varies. But he does need to balance his time with other musical interests. 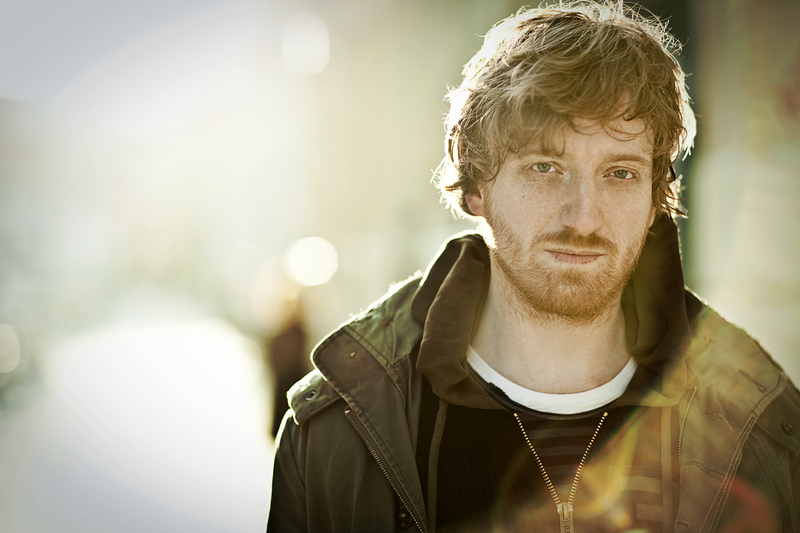 In addition to performing as Tim Neuhaus & the Cabinet (and sometimes solo or as a duo with the band’s drummer), he also drums with the band Hundreds, and used to be a member of Clueso. Where the latter is concerned, he still will record with them. “That keeps it fresh sometimes,” he said, referring to transitioning between the different roles he takes on as a musician. Unfortunately, those things are rewarding, but don’t fully pay the bills, so Neuhaus is also a member of Berlin’s Blue Man Group. “It’s my daily job that I do…to fill my fridge,” he said. Neuhaus insisted that the Blue Man Group is a supportive and fostering community of other people who are creative and inspiring, many who are also in musical projects of their own. “I’m really happy that Berlin has a job for me, you know. As a freelancer it’s harder,” he said. But he wouldn’t have it any other way. In spite of the struggles of being an indie musician, Neuhaus said there are so many things that make it worth it, most notably being a part of something. Tim Neuhaus plays an unplugged gig tonight at Badeschiff in Berlin. The show begins at 21.00 and costs €4. This entry was posted in Interview and tagged Feature, German, Interview, Tim Neuhaus. Bookmark the permalink.